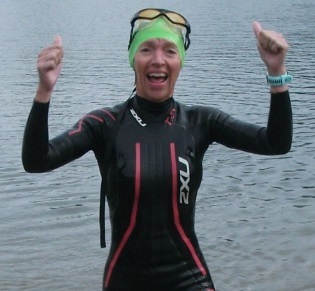 Over the weekend of 22nd and 23rd September, and despite the poor weather, members were competing in Swim Serpentine, the 170 mile Ragnar White Cliffs relay and the Weymouth Half Ironman (70.3). 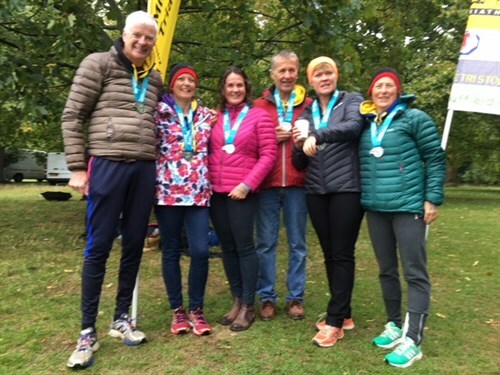 Six members took part in the 2 mile swim with Jeremy Paine being first club member to finish in 1.11.41, followed by Ricci Lennon (1.12.25), Jim Graham (1.15.51), Julie Williams (1.16.10), Sarah Hinton (1.17.14) and Helen Graham (1.35.57). Callum and Angela Murray took part in the 1 mile swim finishing in 43.16 and 55.50. 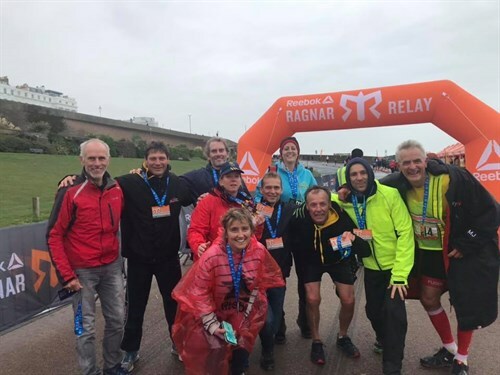 Ten MSTC athletes took part in the Ragnar Relay, a 177 mile relay from Sittingbourne to Brighton following the coast. 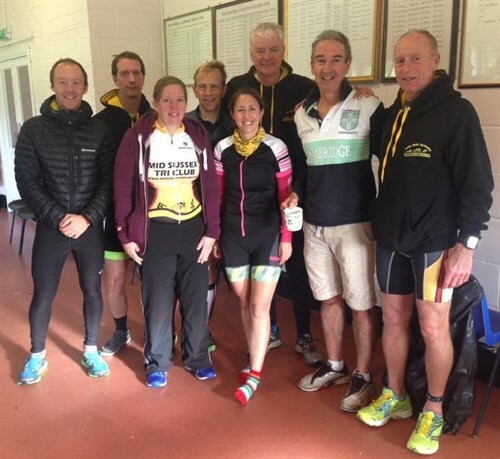 7 men and 3 women, along with two mini buses, took part with each team member running 3 legs varying from about 4 to 8 miles per leg. The team took just under 24 hours to complete the course although 4 legs had to be suspended due to severe weather conditions especially on the cliff top paths. Torrential rain and wind made it very challenging, particularly as route finding was part of the challenge. It was a real test for everyone but was incredibly satisfying to overcome all the hurdles and win their category. 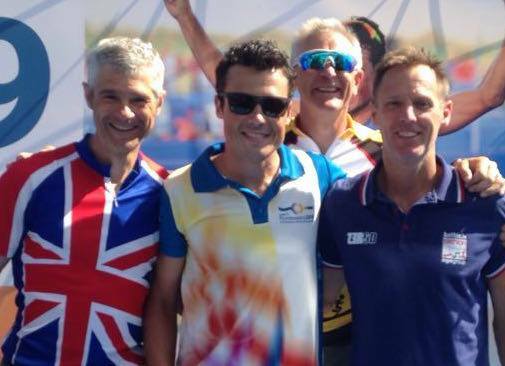 The team was comprised of Graham Bond, Steve Alden, Kevin James, Clair Hunt, Emma Alden, Mike Jaffe, Kate Eifler, Paul Richardson, Jo Fleming and Mark Jordan. Colin Chambers and Charlie Langhorne braved the cold and wet conditions, with temperatures as low as 8C, to finish in 5.25.49 and 6.10.32. 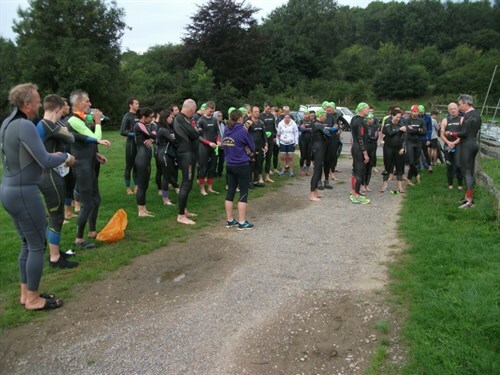 Last Tuesday evening Kelly Wickens from Triathlon England SE attended the club's open water swim session at Ardingly Reservoir to present the Trimark Club Bronze Accreditation Award to members. 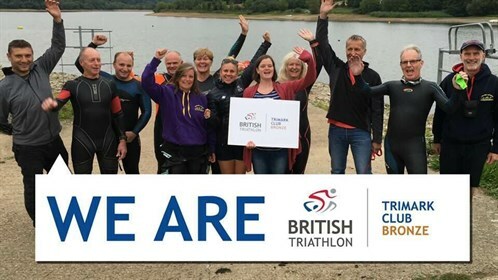 The Bronze level is the entry point into the Triathlon England accreditation scheme. This level outlines that the club has confirmed it is a community club with a management committee, that it has a constitution, an active activity programme, and a Welfare Officer. Additionally the club coaches must be operating within their qualification remit and the club should have an open and inclusive membership offer. 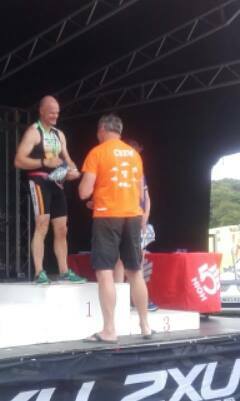 The Mid Sussex Triathlon Club is the 3rd club out of 66 in the South East Region to achieve this award. 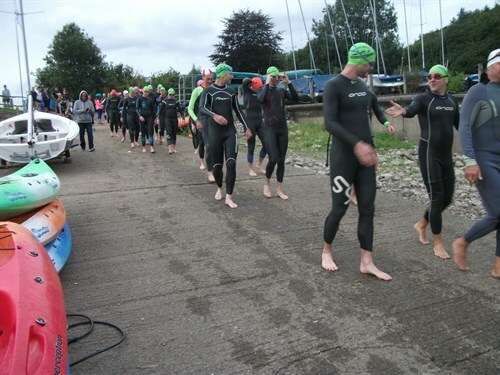 The open water swim sessions have proved to be very popular this summer with between 20 and 30 and sometimes over 40 swimmers taking part in the Tuesday evening and Saturday morning sessions. The Club's 10 mile TT Best All Rounder competition took place on Saturday 8th September within the Eastbourne Rovers event on the A22. Top woman was Emma Smith in a time of 32.41 (a PB) closely followed by Clair Hunt in a time of 34.23. Top man was Lawrence Wintergold in a superb time of 22.40 followed by Phil Couch 25.19. Derek Hastings (age 70+) rode brilliantly in 30.44. 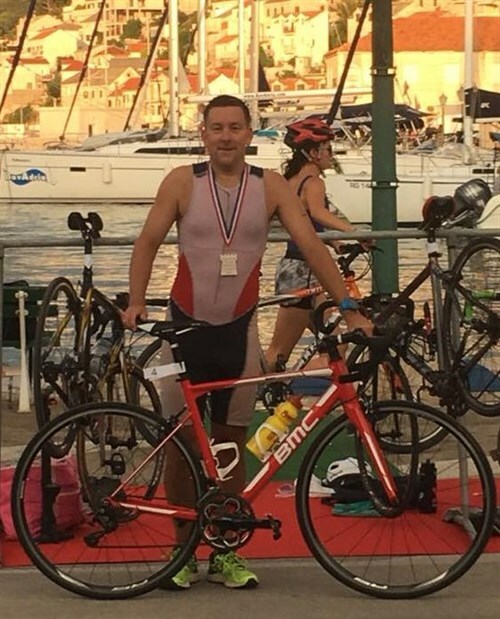 Meanwhile club member Doug Mac Taggart competed in the Ironman Wales event at Tenby on Sunday 9th September. 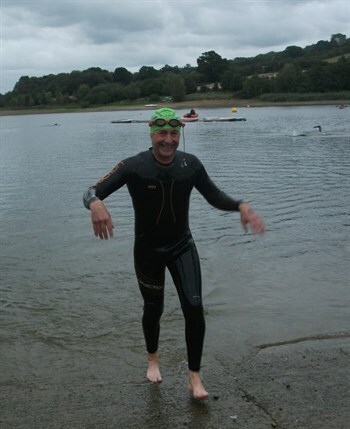 Doug reported that he struggled a bit with his breathing initially in the swim, probably due to four weeks of no swimming, the last being at Maastricht in 27 degrees, and it was only 16 at Tenby. 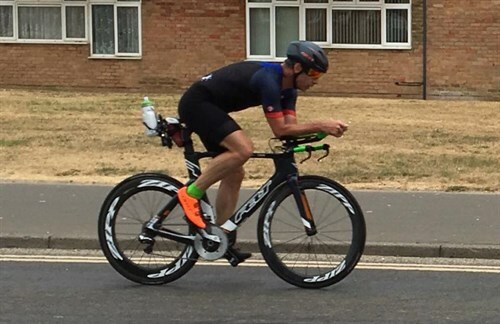 However he had a decent bike ride on the notorious hills, although not helped by pretty strong winds, and finished off with a good run to get around in 13:40:24. This event includes a marathon run which was Doug's 189th marathon. 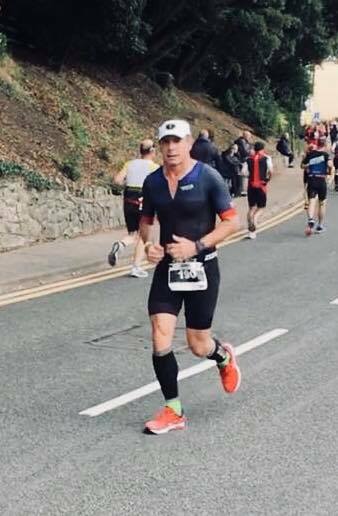 He plans to complete marathon number 190 at the Chiltern 50 next weekend and his 200th in Brighton in 2019, where he also ran his 100th marathon.